Napoleon winning the Battle of Waterloo is one of the ten most popular scenarios in English-language alternate history, and the most popular one in French. (1) The Waterloo “what if?” pops up repeatedly in alternate history forums and has been the subject of numerous books, stories and articles. Broadly speaking, exploring what might have happened if Napoleon had won at Waterloo involves pursuing one or more of the following questions. How might Napoleon win the Battle of Waterloo? If Napoleon wins, do the allies make peace or does the fighting continue? Many historians argue that a French victory at Waterloo would not have made much difference to the ultimate outcome, as Napoleon would have gone on to be defeated within a matter of weeks or months. See for example, All About History’s interview with Alan Forrest and Mark Adkin. In an intriguing version of “it wouldn’t have mattered much,” Nick Tingley notes that Napoleon’s nephew wound up on the French throne anyhow. See “What if Napoleon Bonaparte had won the Battle of Waterloo” on the History is Now magazine blog. What are the implications for Europe? Historian G.M. Trevelyan argued that even if a victorious Napoleon became a man of peace, his former enemies would maintain their standing armies, stifling reformist movements on the continent for decades. See “If Napoleon Had Won the Battle of Waterloo” in Clio: A Muse (1913). Alternatively, Andrew Roberts suggests in “Why We’d Be Better Off if Napoleon Never Lost at Waterloo” (Smithsonian Magazine, June 2015) that liberalism would have flourished. Does the French empire expand? French expansion to England and/or other continents is often mooted. Historian Helmut Stubbe da Luz speculates that Napoleon would have invaded Russia again and potentially extended his empire as far as China (see “If Napoleon won Waterloo, French-speaking Europe, no world wars?”). Alternate history writers have also imagined some far-reaching consequences. 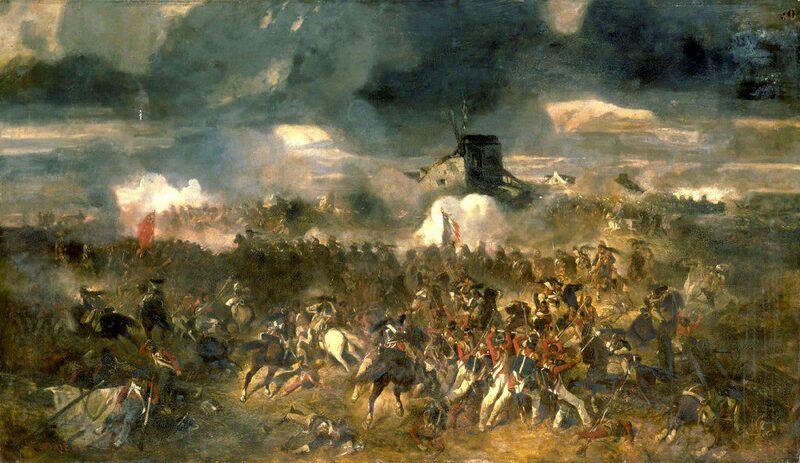 For further discussion of “what if Napoleon won the Battle of Waterloo,” see Alternate History Weekly Update, the Alternate History Discussion Board, the AltHistory Wiki, the Total War Center, This Day in Alternate History and this post by Michelle R. Woods. 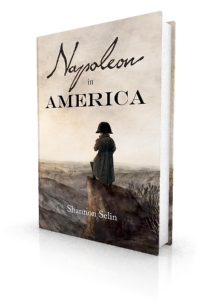 If you enjoy alternate history, see my posts about Napoleon in Alternate History and Alternate History by Napoleon, and check out Napoleon in America. Evelyn C. Leeper, “Alternate History 101,” http://leepers.us/evelyn/ah101.htm accessed May 29, 2015. 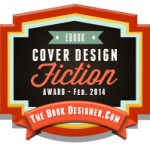 Thanks to Uchronia for the descriptions of the short stories referred to in this post. A very popular discussion topic as proved by the books and papers on the subject. Indeed – it seems to hold endless fascination. The best scenario, of course, would have been the battle of Waterloo not being forced on Napoleon by the Allies. I’ve always been intrigued by the speculation that the two world wars may not have occurred had Napoleon’s plans for a unified Europe succeeded. That is intriguing, Tom. Of course other wars may have taken their place, particularly if Britain remained outside Napoleon’s empire. I am glad that you state the fact that the war of 1815 was forced onto Napoleon by the Allies, a fact that is ignored by most people, who go on the assumption that Napoleon was out to dominate Europe once again. Is difficult to say. Just consider that germany and UK were allies against Napoleon buy in both WW, France and England were allies against Germany. Europe needed to be nearly destroy to get some years of peace and Waterloo only involved armies. Thanks for this nice summary of the what-ifs concerning Waterloo. Got in on this quite late, but going to comment anyway. It appears to me that Napoleon’s best chance to win the campaign, possibly even the war, was on the 16th, by getting Count D’Erlon’s corps into Blucher’s rear on the Ligny battlefield, about Marbais. That could have occurred had either (1) Ney captured Quatre Bras by moving sooner; or (2) had D’Erlon’s mysterious movement towards Napoleon’s wing continued; and, (as with a little reconnaissance by the former, it might well have) had the Count inclined his march a bit more to the north. In all probability, Blucher would not only have been defeated at Ligny but crushed. But once that did not occur, the odds then got very steep. Even had Blucher’s arrival at Waterloo been inhibited by Grouchy somehow on the 18th (perhaps as Marthinsen sets out in his alternative history), Napoleon’s exhausted army still has to fight another battle on the 19th — against Blucher after beating Wellington. I think the only scenario that comes out positively long term for the French is the crushing of the Prussians in isolation on the 16th. Wellington is then liable to be run out of Belgium, and the question then becomes whether the allies want to go on. The allied war effort in 1815 was immense, but it was dependent on British subsidies. I wonder if these would have continued to be forthcoming after a significant reverse in Belgium? The British public was quite war weary. Losing to the recently vanquished Napoleon would have likely been quite disheartening. Moreover, I wonder if the Austrians, with Italy back in their camp, would have felt inclined to push the French to the wall (including Kaiser Franz’s brother in law). . .to mostly save Belgium and the Prussian position on the Rhine? Seems like there would be at least the possibility of making a deal. I’m glad you jumped in, Hale. It’s an intriguing scenario and I wonder what the allies would have done. Nah, seriously I love your book. The allies would not have stopped …… he was an outsider …. To summarize, I think, had Napoleon won in Belgium, his chances of survival were better than is generally recognized because everyone was quite broke. Thanks, Hale. Your scenario is fascinating! I love how much you’ve thought all this through. Another idea (from someone who has a Dutch Belgian army and thinks they are seriously under rated) is that the army, peed off at the treaty joining the two nations, decides to change sides. Great scenario, Russ. I hadn’t heard that one before. The Napoleon of 1815, one week after his triumphal entry into Brussels, was offering to Wellington the same facilities to evacuate the seat of war which the English general had offered at Cintra, seven years before, to the defeated lieutenant of the Emperor.